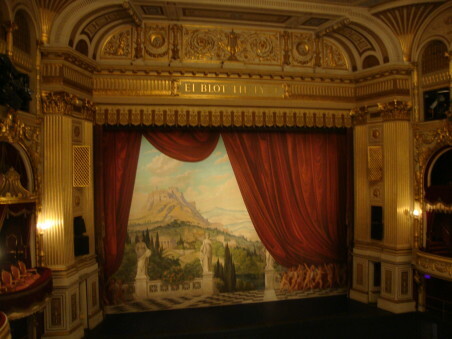 What a pleasure it was to be sitting in the auditorium of Copenhagen’s beautiful, old Royal Theatre waiting for the curtain to go up on a production of Romeo and Juliet—John Neumeier’s version too, which I had never seen: such a sense of anticipation not just because for me it was a different production, but also because it was about ten years since I last saw the Royal Danish Ballet. What a sense of occasion too because just as it was time for curtain up Queen Margrethe II of Denmark, a true balletomane, appeared in the Royal Box and the audience rose as one to welcome her. The Neumeier Romeo and Juliet is said to have been partly inspired by John Cranko’s production, so well known to Australian audiences during the period of Maina Gielgud’s directorship of the Australian Ballet. And yes, there is a spectre of Cranko somewhere there. But on the other hand, Neumeier’s production is quite distinctive. Choreographically it is absolutely fascinating, especially in the way it contrasts the movements of the elders of the Capulet and Montague families and those of the younger folk across the social strata. Both groups are given what I can only say are beautifully eccentric movements, especially for the arms and upper body. The elders often use a highly formalised vocabulary, while the young people have a freedom that sometimes verges on the wild. Gorgeous. And how beautifully did the dancers of the Royal Danish Ballet respond to this vocabulary! Ida Praetorius as Juliet was completely entrancing. She showed off a stellar technique—the highlight for me came when she was refusing the attentions of Paris and at one point, in desperation, tossed off an amazing, perfect double turn in arabesque with arms flung upwards and body slightly tilted. But not only did she dance with such perfection, her characterisation of Juliet was brilliant. She played the role as it was written—she was a thirteen year old. She often seemed slightly awkward of limb, she often made her youth clear by seeming not to know how to behave in every situation, and her nervousness and vulnerability were clear, especially when she executed that wonderful stumble on the last few stairs as she entered the ballroom for the Capulet ball. But throughout, her youthful, slightly crazy love for Romeo was always obvious. As Romeo, Andreas Kaas was as ardent and dramatic in love as one could hope. His enthusiasm and desire for Juliet showed in his every movement. He rushed to her. He could scarcely hold back his longing for her. Kaas and Praetorius, together, made the two characters come alive in a way I have never seen before. It seems like a partnership made in heaven from both a dancerly and dramatic point of view. Another stand-out performance came from Sebastian Haynes as Mercutio, dashing and charismatic as a character, thrilling as a dancer. His death scene was powerfully moving and made more so by the feisty way Romeo took on Tybalt after the stabbing. I also admired Susanne Grinder as Lady Capulet. She moved with such strength and such elegance, sweeping her way through Neumeier’s formal choreography and wearing her bright orange gown with style and aplomb—a true aristocrat. And I have never taken all that much notice of the entourage that enters the square to try to restore some peace to the conflicts between the Capulets and the Montagues. But in this production Poul-Erik Hesselkilde was a towering presence as the Prince of Verona. Mostly he stood still, centre stage, but he was so in command of the role that his power spread across the stage and out into the auditorium. There were so many magical moments, too, inserted by Neumeier to make more sense of the story. The potion that the friar gives to Juliet, for example, we know is not a deadly poison but Neumeier introduces a group of street performers who, in a commedia dell’arte manner, mime the effect the liquid will have. Juliet and the friar stand motionless, in a kind of freeze frame, in the act of giving and receiving the vial. As is usual in Royal Danish Ballet performances, the presence of children in the crowd scenes was always noticeable. I loved the way the adult dancers in the corps de ballet interacted with them, shielding them from fight scenes, making sure they hurried off during the more gruesome moments. And as for the corps, I loved that they looked as though dancing was their life and not just their job. Costumes and sets were by Jürgen Rose, also responsible for the design of the Cranko production. But his work for Neumeier had a very different feel and was often unusual in the way Neumeier’s choreography was unusual. His striking red wedding dress with white turban for Juliet was quite startling, for example, and the church for the wedding, which was created as plain brown flats slid beautifully and noiselessly into place, had all the simplicity of a Cistercian abbey church. Nothing was overdone but everything contributed beautifully and economically to the unfolding story. This Romeo and Juliet was such a striking production, so beautifully danced by the entire company and musically thrilling—it just took my breath away. The evening sped by and it was by far the most exciting and captivating performance I have seen for years, anywhere in the world. 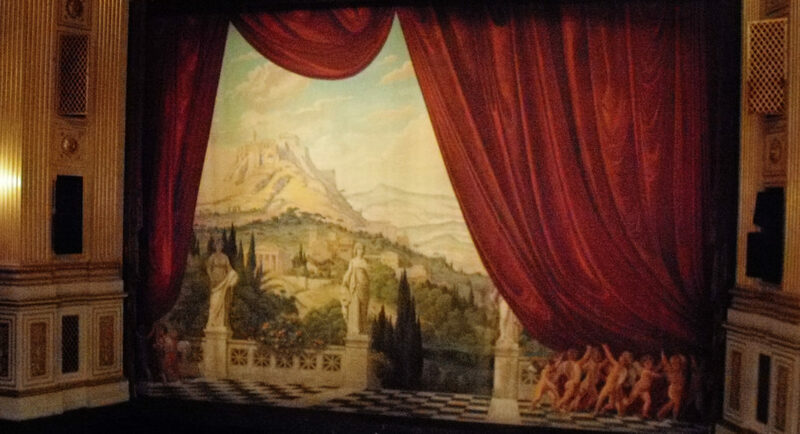 I saw the Neumeyer production by the Royal Danish Ballet in 1975 as a student abroad. It was simply overwhelming. The youth of the the principals, the staging, the music, the incredible performances. I don’t have your words, but I recognize the same reactions I had. What a privilege to have seen this at that time. That was also about the time Baryshnikov had come to the West with some assistance by Erik Bruhn, previously of the Royal Danish Ballet. I was very fortunate to hear Mr. Bruhn as a guest speaker in a class I was taking on the Royal Danish Ballet and the Bournonville tradition. I have wonderful memories of that time. But none better than witnessing that performance. I still listen to the Prokofiev score frequently and it always takes me back there. I can see it whenever I hear it. I absolutely agree! And to think I nearly didn’t go. It was a dreadful night, cold and windy, and I was staying a fair way away from the theatre and had no idea how easy or hard it would be to get a taxi back to the hotel etc, etc. But I was blown away and so glad I made the effort.